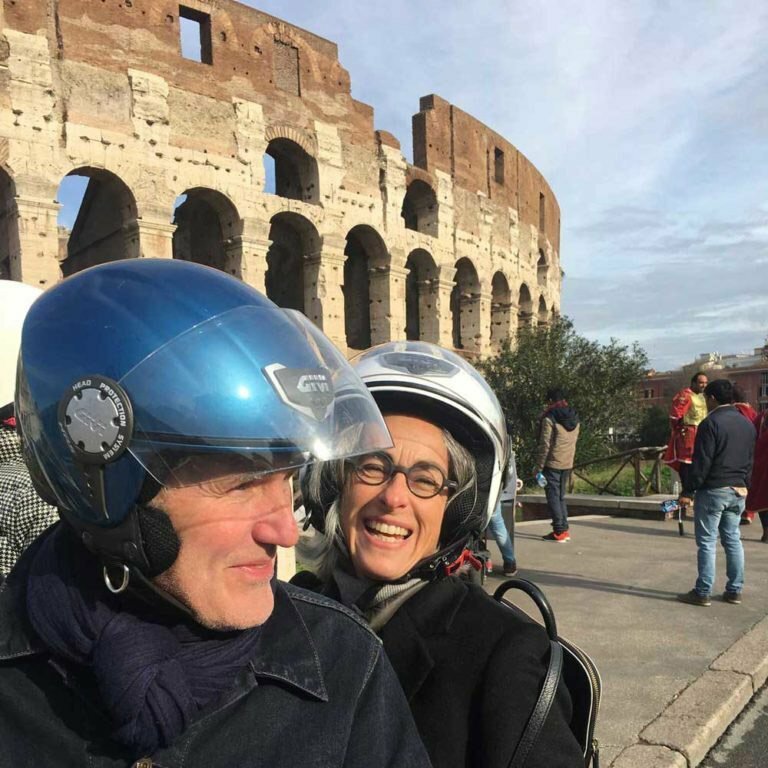 Vespa Scooter with pre-set navigator to discover the Eternal City! 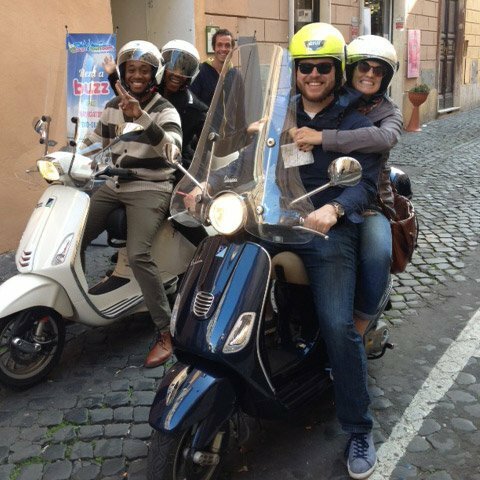 Explore Rome on 2 wheels. 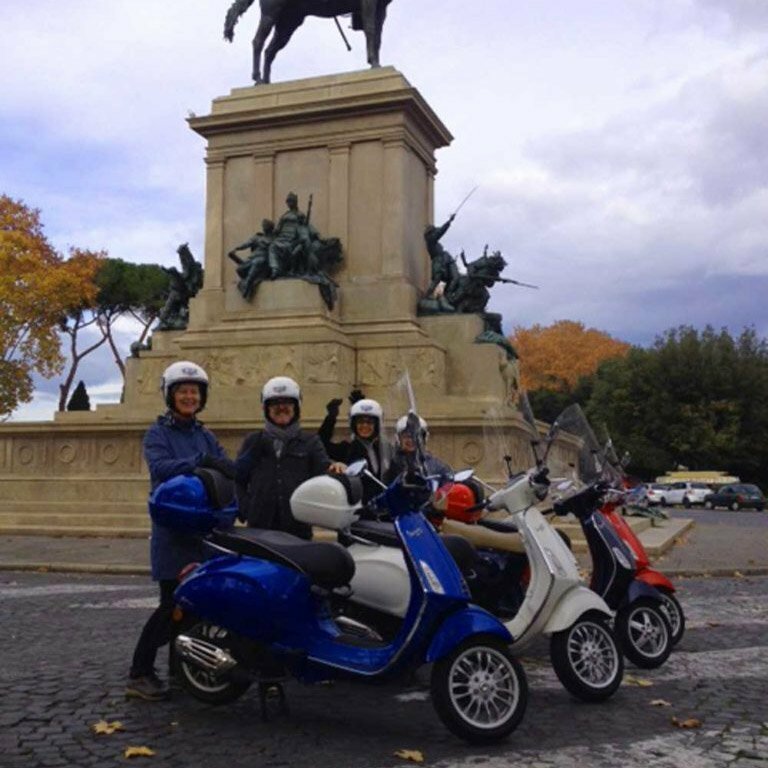 Ride a Vespa! Put your mobile away and use our pre-set navigator to reach all the mustsees. 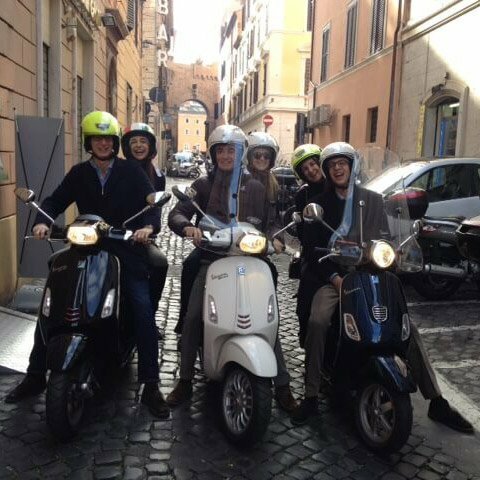 Jump on board our latest Vespa and pass for a ‘local’ as you rev your way through the streets and alleyways of ancient and modern Rome. 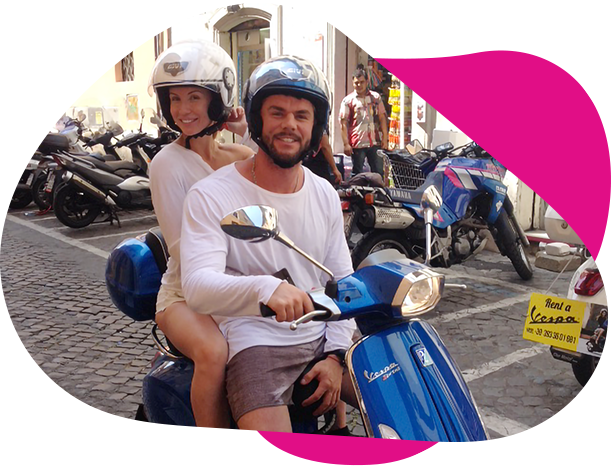 The symbol of the perfect Roman Holiday, your Vespa can also take you out of town off the beaten track… beaches or countryside, for more fun and freedom. Come and see us, we’ll show you where! Free use of pre-set navigator with Battery Bank. ON A MORE SERIOUS NOTE: BEWARE OF BUS LANES. 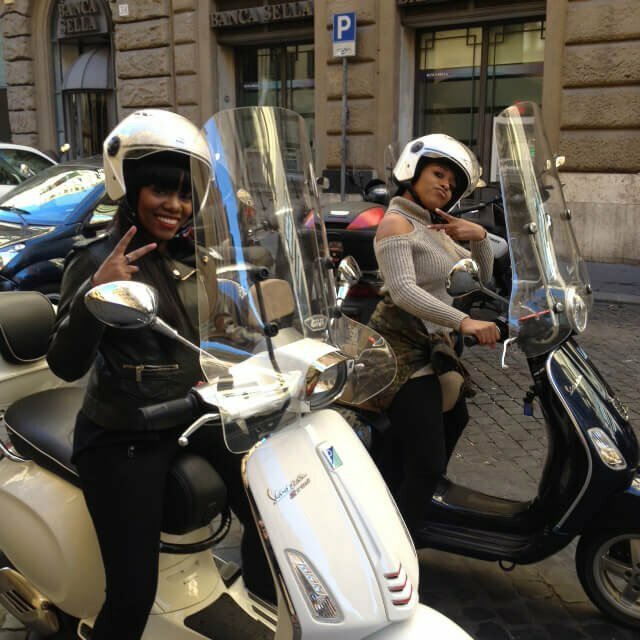 Rome is a beautiful City but it isn’t famous for the visibility of its road signs. You are not allowed to drive in Bus lanes so if you are following a bus or a taxi, there is a very good chance you are in the wrong lane. Bus lanes are characterised by a continuous yellow line delimiting the lane, sometimes you may see “plastic pizzas” stuck to the line and usually, unless it has been hung facing the nearest wall, you should also see a sign at the beginning of the lane. The trouble is, you may be coming from a side street, heading for an intersection where no warning signs of an incumbent bus lane may have been placed.